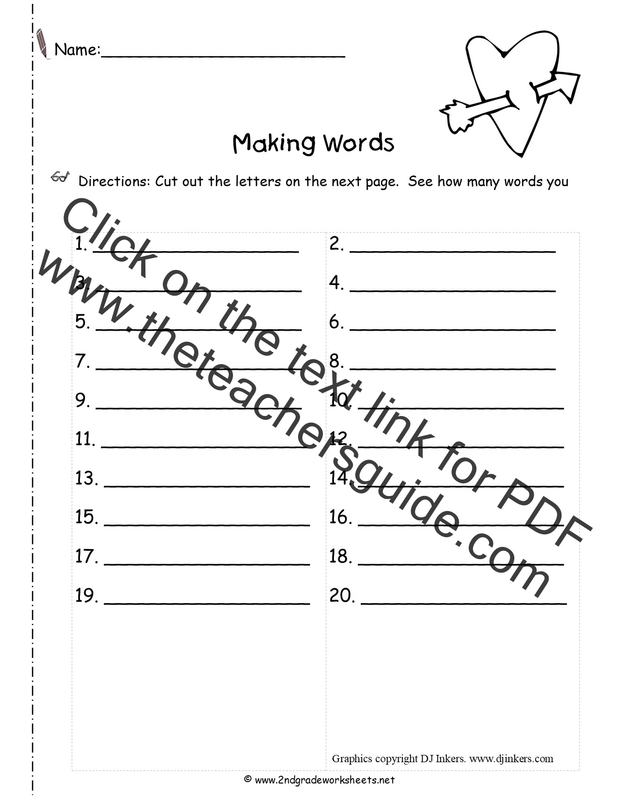 Use this form to teach students how to write a cinquain. 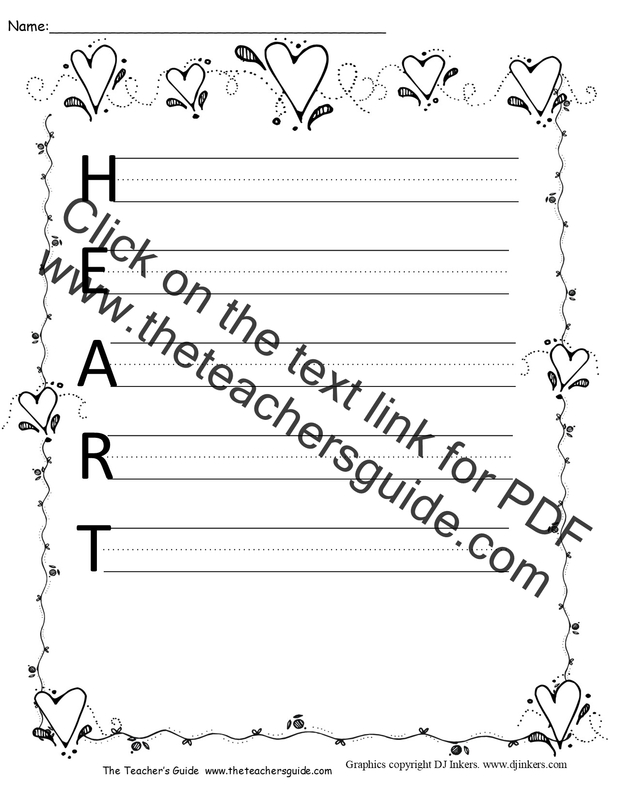 After using the form, students can copy their poems onto this heart form. You might also need the cinquain poem instructions. 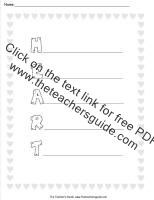 Printable for creating an acrostic poem. 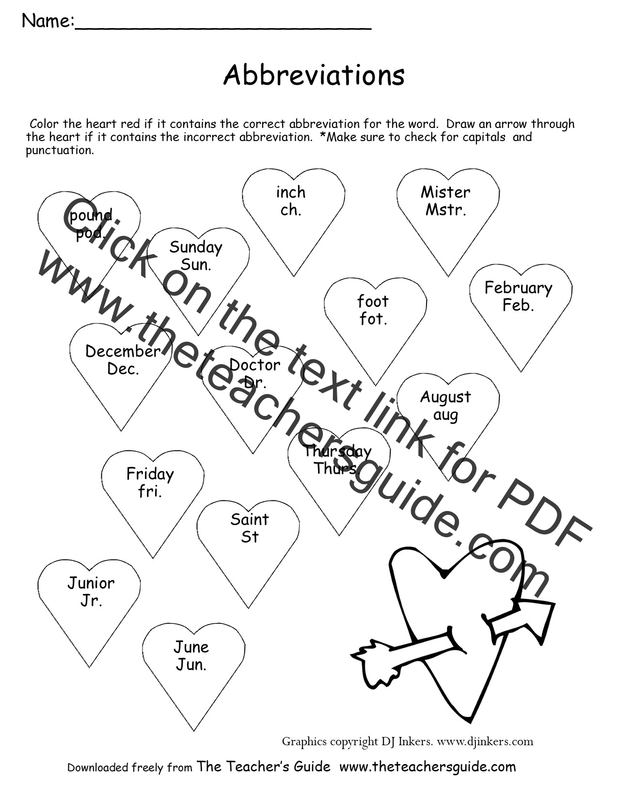 Visit this site to find out the history of Valentine's Day. 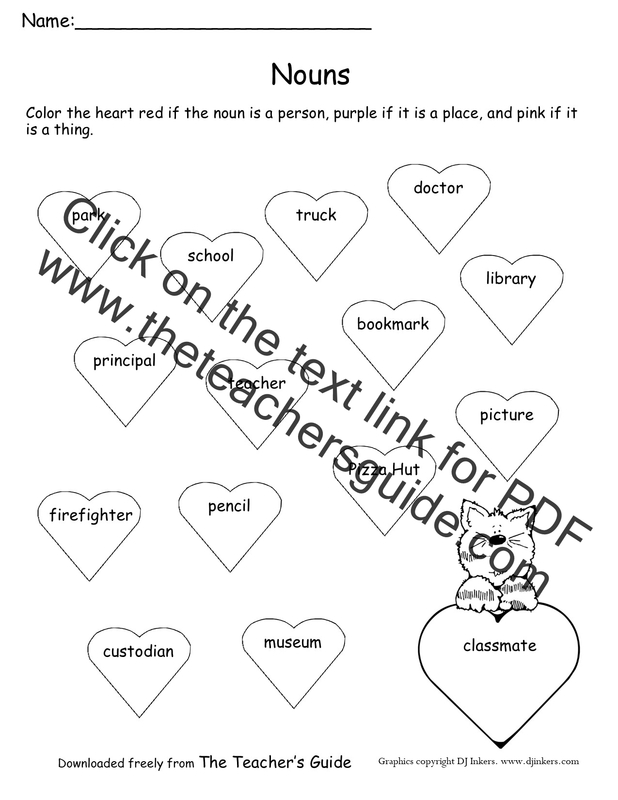 Students select hearts with correct spelling of plural nouns. 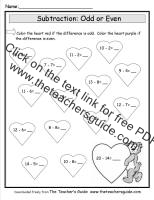 From the website "PowerPoint story writing templates are fun ways to help students develop writing and story telling skills while learning how to use PowerPoint at the same time." Free templates with a Valentine's Day theme for story writing, history presentations, or other uses. Card creator, printable cards, painted cookies, and coloring pages. 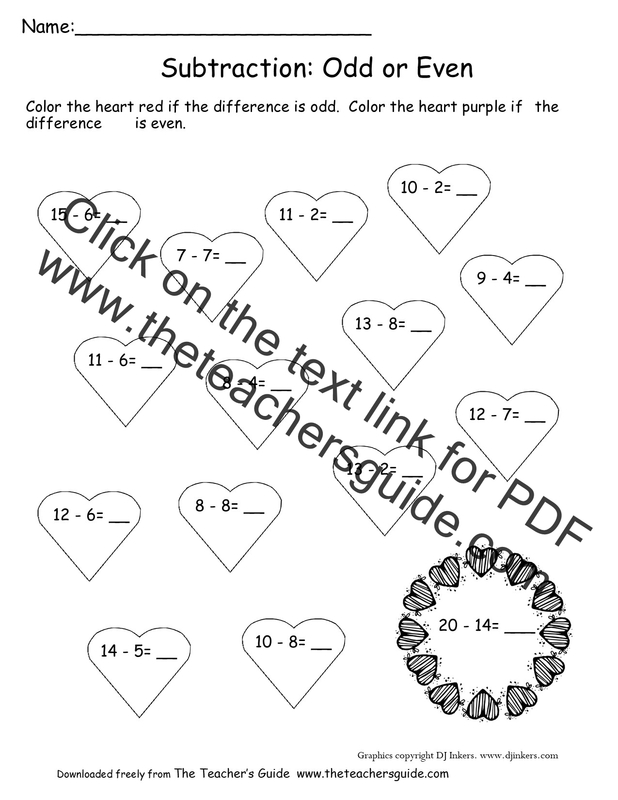 Students decide if the correct abbreviation is in the heart. 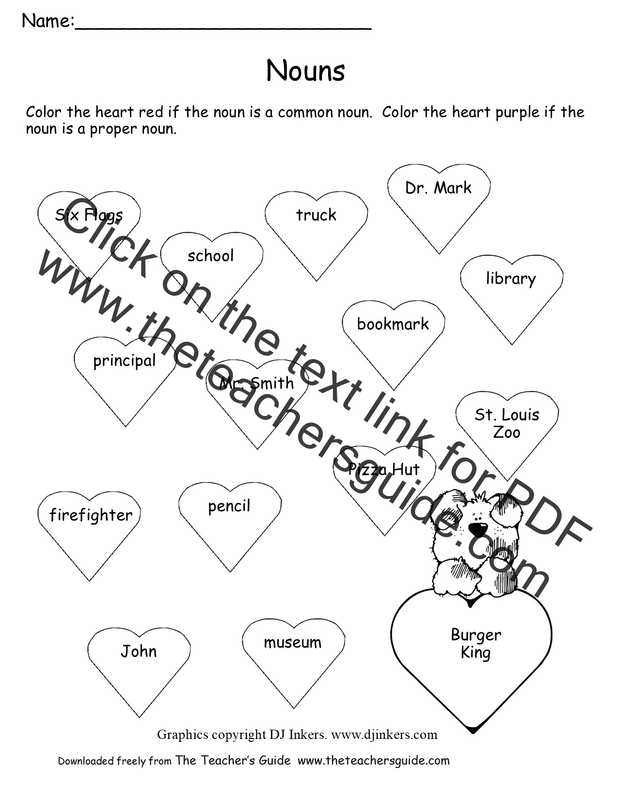 Students identify common and proper nouns in hearts. Students decide if it is a person, place, or thing. Students decide if the plural form of the noun is correct. 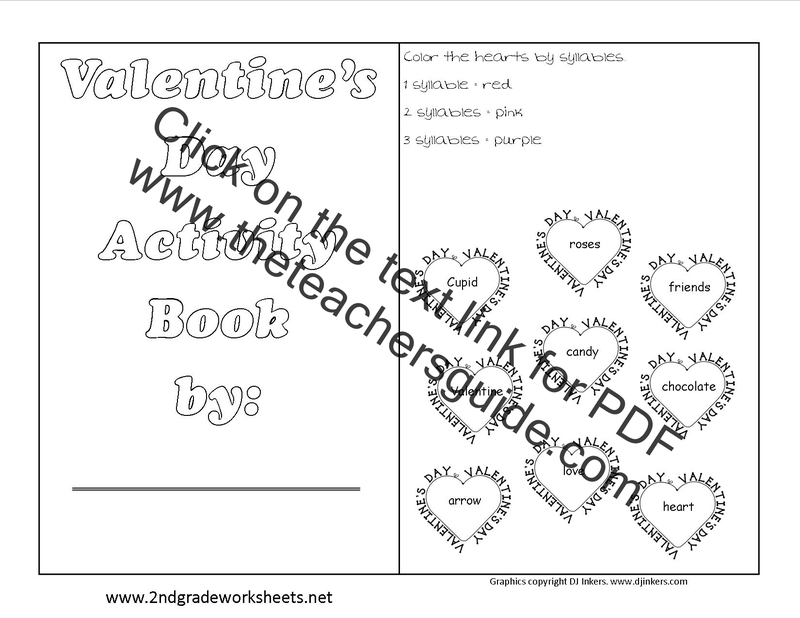 Students identify if pairs are antonyms or synonyms. 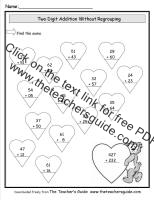 Students add numbers and decide if they are even or odd. 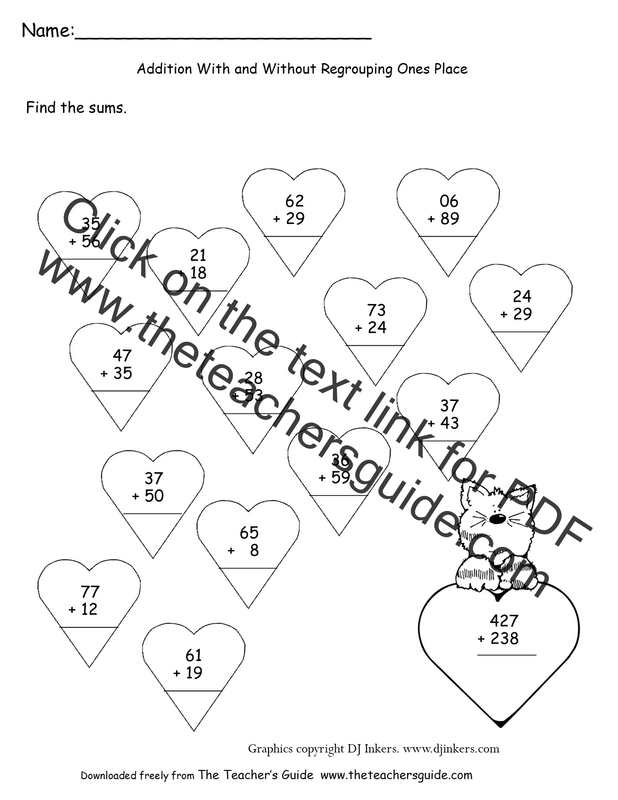 Students subtract and decide if the answer is odd or even. 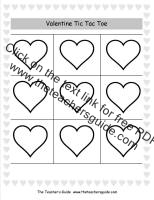 This is a great site with lots of FREE printables for Valentine's Day. Find awards, bingo cards, bookmarks, etc.. 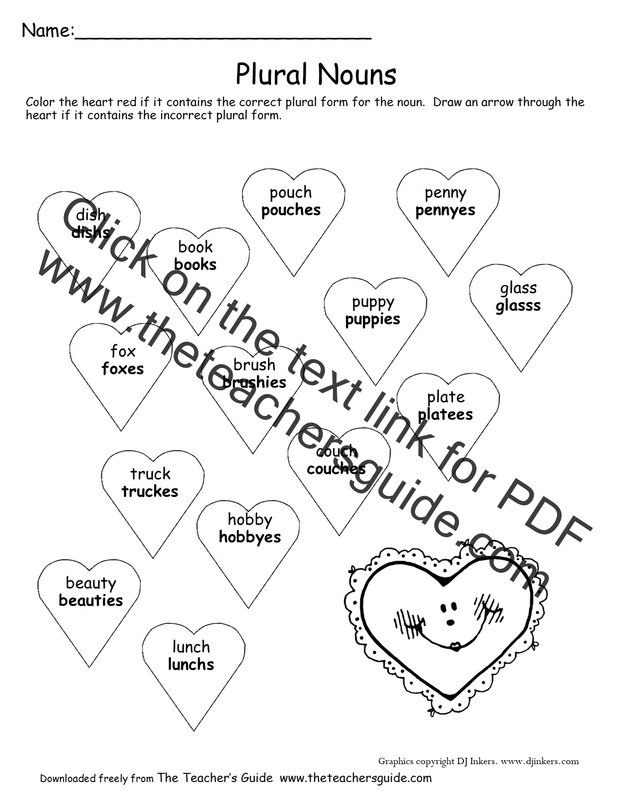 Craft ideas for a heart mask, heart necklace, heart ring, ribbon key ring, heart fridge magnet, homemade Valentine's Day cards, pipe cleaner hearts, handprint heart and more. 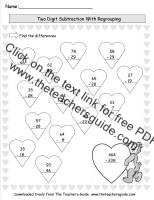 Ideas for making your own Valentine's Day cards. 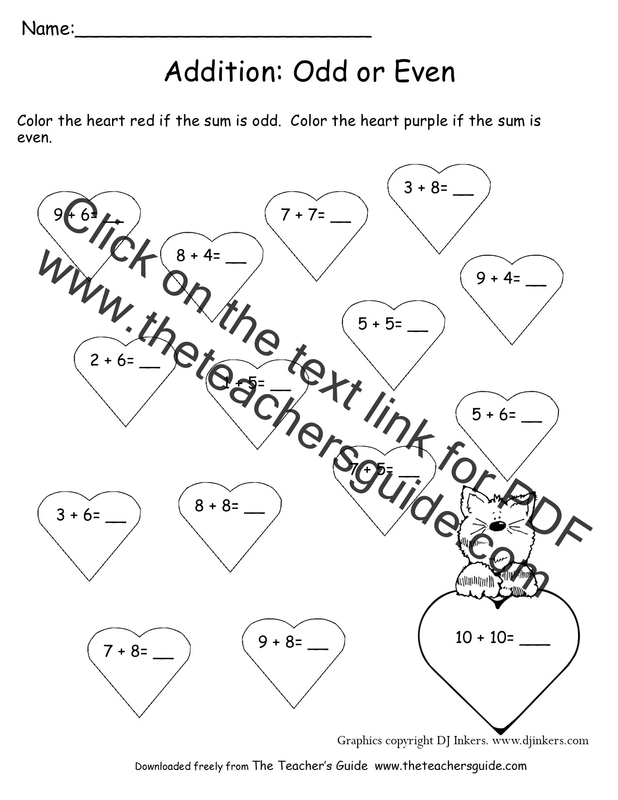 Crafts ideas for handprints, hearts, notepads, and more. 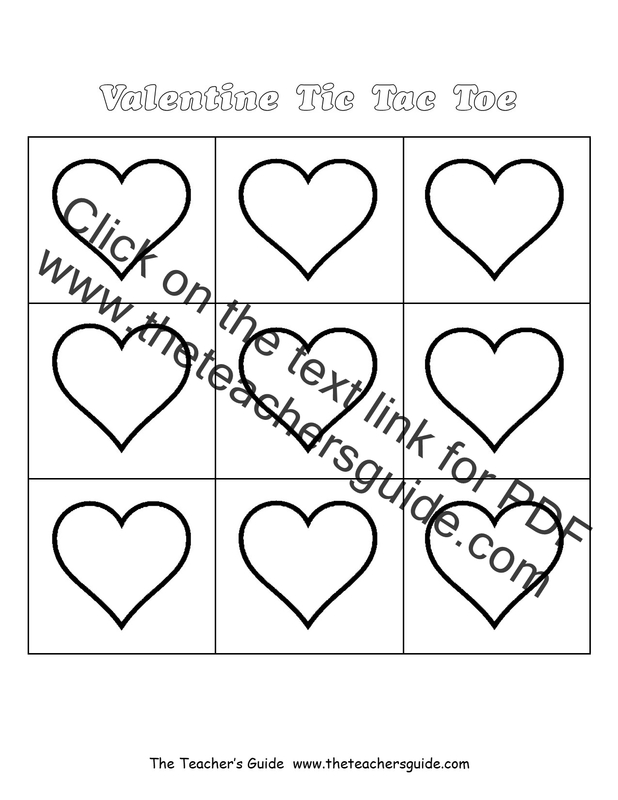 Valentine day recipes to make at home or with your students.